All of us girls have a soft corner for Maybelline because this was the company that brought the mascara to the commercial industry. Moreover, it is also one of the most affordable brands available. I have been a huge Maybelline fan since I started using makeup. 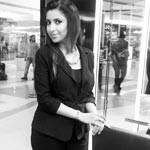 They have been introducing newer and better products every season – and they’re all amazing! But here’s a run-down of the 10 Best Maybelline products that totally steal the show. 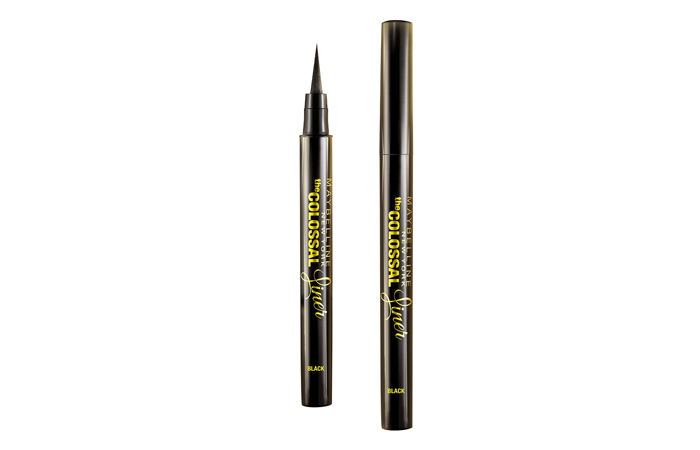 The Maybelline Eye Studio Lasting Drama Gel Eyeliner has a gel based formula that gives the precision of a liner and is extremely easy to apply. It glides on smoothly and effortlessly, and lasts all day long. Line the eyes, draw wings, or do a quick smokey eye with this eyeliner – all these looks are just a stroke away! It makes your eyes look spectacular. 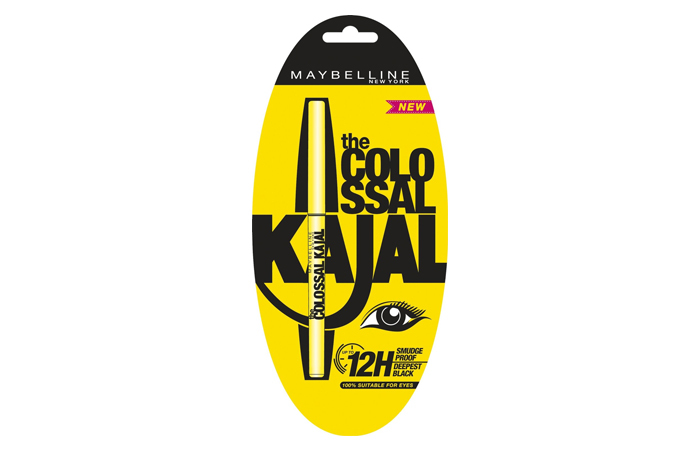 We have to admit that the Maybelline Colossal Kajal took us all by storm when it entered the market! It provides the perfect smudge-proof look. It’s also enriched with vitamin E to nourish the eyes. One stroke of it immediately enhances the beauty of your eyes. It’s a retractable self-sharpening pencil. It is a long lasting kajal that stays on for up to 12 hours. For more details, read Maybelline Colossal Kajal Review. The new must-have liquid liner in your makeup kit is this pen format eyeliner. It’s smudge-free and comes with a quick drying formula. It lasts up to 12 hours. The felt tip applicator glides on very smoothly on the eyelids, making the application super easy! It has a built-in ink pigment technology that provides superb intensity and defines the lines well. A product worth falling in love with. 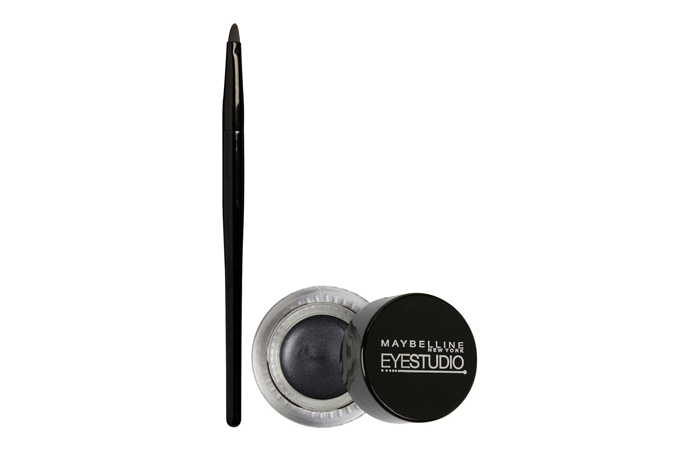 It is one of the best eye makeup products from Maybelline. This is the new sensation in town!! Get a boost of color with the Rebel Bouquet collection from Maybelline. 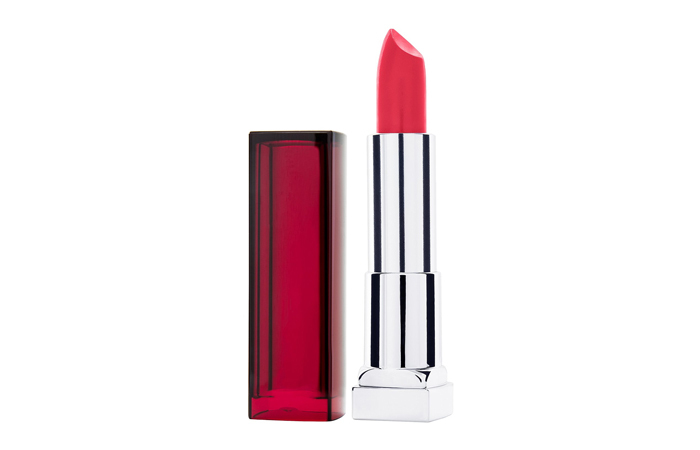 The super pigmented lipstick gives a pop of color on the lips. It is infused with honey nectar that gives a sumptuous look to your lips. Flaunt these bright and bold shades this season. 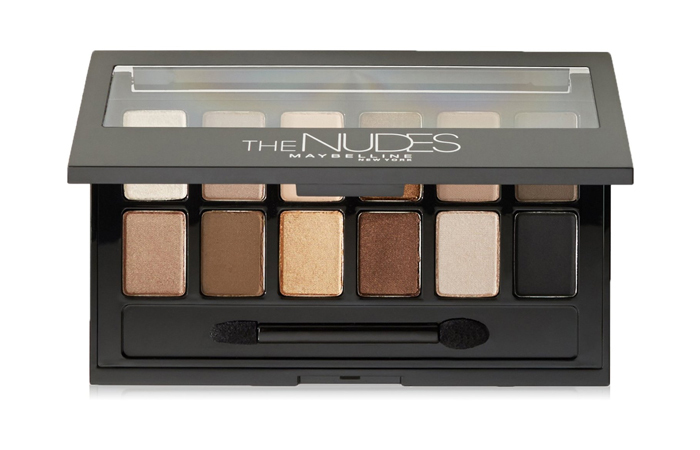 Maybelline introduces the nudes palette – a collection of 12 eyeshadows in one palette. It is designed to create different looks by enhancing your features with the beige and brown tones. You can create any look, ranging from cat eyes to the sultry smokey eyes in intense black and gray shades. Create a new look every day! This complete palette for all occasions comes along with a two-sided applicator brush. 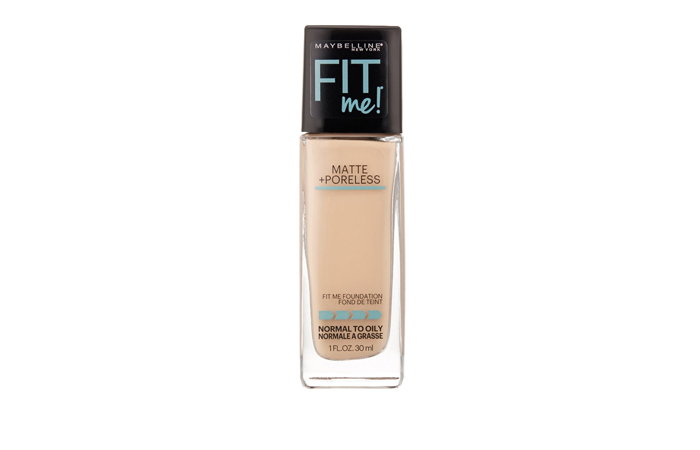 The new Fit Me Matte + Poreless Foundation from Maybelline works beyond just matching the skin tone. It fixes the different texture issues of normal and oily skins. It’s the ultimate natural skin fit foundation. This pore-minimizing foundation contains genius blurring micro powders that conceal the pores and absorb oil to give a natural matte finish. 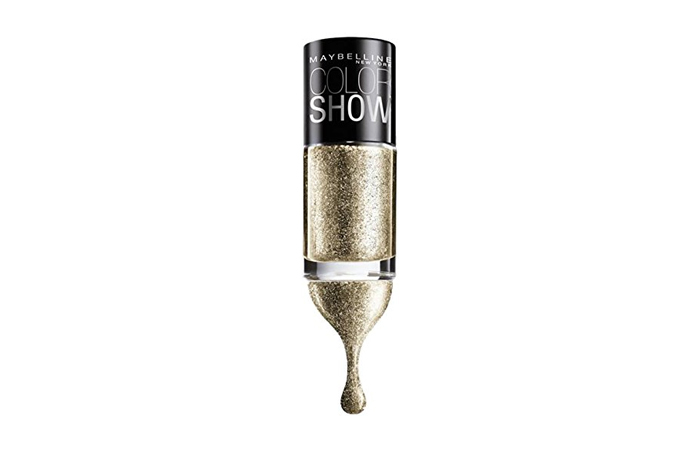 The Colorshow Glitter Mania is a range of glitter nail paints from Maybelline. They look like jewels on your nails. Inspired by the runway, this range of colors make a bold style statement. The texture is opaque in a single swipe. It is also chip resistant. 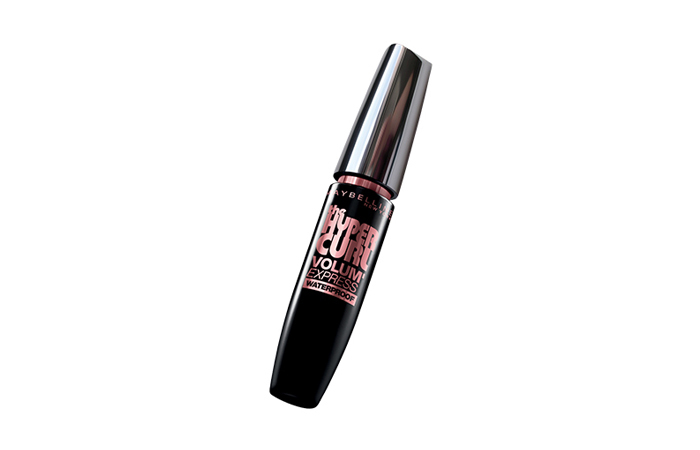 The Volum Express Hyper Curl Mascara by Maybelline adds instant drama to the eyes with its rich and deep color. The amazing curl lock formula lengthens the lashes while adding immense volume. The brush is uniquely designed to deliver the perfect stroke every time without clotting or clumping. It’s waterproof and ideally lasts long for up to 18 hours. 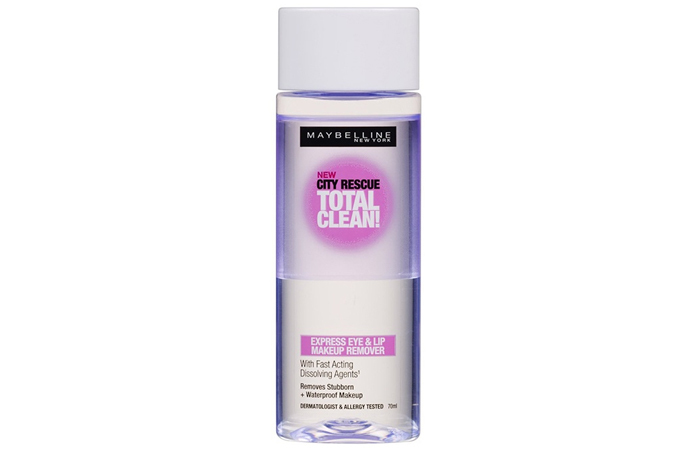 The Clean Express Total Clean Makeup Remover is an oil and water-based makeup remover. It comprises of the powerful Bi-phase formula that removes waterproof and long lasting makeup instantly without leaving any residue. The fast acting dissolving agents break down the makeup pigments while leaving the eye area moisturized. One of my favorite makeup removers. 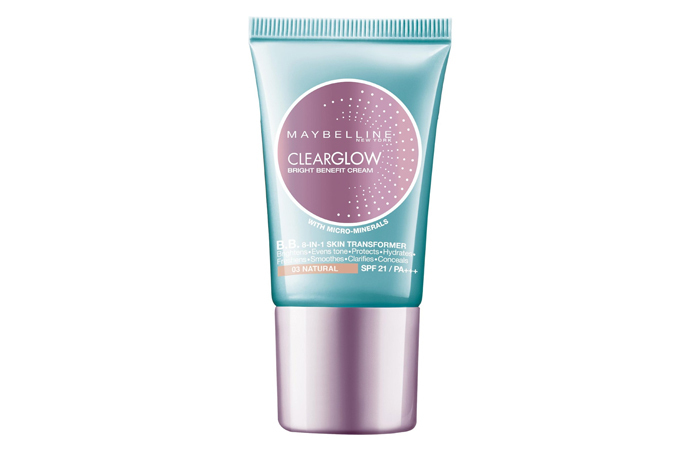 The Clear Glow Bright Benefit Cream is a BB cream that moisturizes and evens out the skin tone, while providing a radiant matte finish to the skin. It is sweat and sebum resistant and has SPF 21 to protect the skin from the sun. The cream comes with a mineral clay formula that controls the shine and nourishes the skin as well. 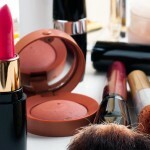 I hope you all enjoyed this post on the top 10 picks of Maybelline products. What are some of your favorite products from the brand? Do share in the comments below.